If you can draw it on a whiteboard, you can build it in Cherwell—no skilled development, coding, or scripting resources required. Join the 71% of Cherwell customers who have built solutions beyond IT by creating new business applications and capabilities using intuitive drag-and-drop wizards—without touching a single line of code. 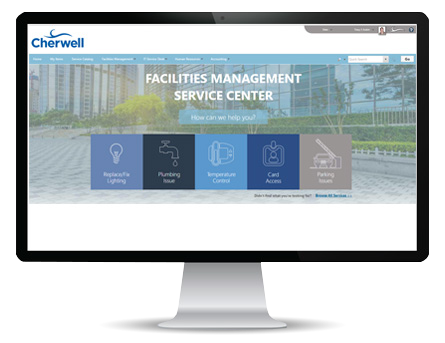 The Cherwell mApp Exchange offers dozens of pre-built enterprise service management solutions at no cost. Rather than build business applications from scratch, you can install our mApps in a matter of minutes, and quickly refine the solutions to meet your specific organizational requirements. Cherwell’s Human Resources (HR) Service Management solution is a combination of two mApps, HR Case Management and HR Employee Administration. The HR Case Management mApp is a business solution enabling HR departments to deliver employee services quickly and efficiently and provide end users with a portal to manage their HR requests-removing bottlenecks associated with paper process, email requests, and siloed departments. The application allows fulfillment teams to streamline and automate common HR requests and provide focused knowledge to help solve issues before cases are created. The HR Employee Administration mApp manages all the tasks associated with the onboarding/offboarding processes ensuring that employees are provisioned with all the necessary information, training, tools, rights, and access in the shortest possible time.